At approximately 62 grams and about six inches across, Mini Crank larger and heavier than your standard mini. Looks awesome, flies great and always provides a ton of fun! At approximately 62 grams and about six inches across, Mini Nuke is larger and heavier than your standard mini. Looks awesome, flies great and always provides a ton of fun! At approximately 62 grams and about six inches across, Mini Undertaker larger and heavier than your standard mini. Looks awesome, flies great and always provides a ton of fun! The Mini-Star is a tiny version of the Ultra-Star, and flies great! Stock versions available in SuperColor designs only. Glow Mini Marker Most players use minis to mark their lie. A must for tournament play. They are also great flying discs too. 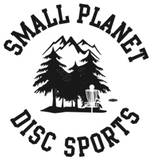 Used in mini disc golf for drives and putts. About 23 grams. Minis are available in a variety of colors. Most players use minis to mark their lie. A must for tournament play. They are also great flying discs too. Used in mini disc golf for drives and putts. About 23 grams. Minis are available in a variety of colors. A marker almost too beautiful to use on the course. Grab a handful as there are too many colors and patterns to be happy with just one. Each mini is unique and no two are the same. Each weighs about 23 grams.